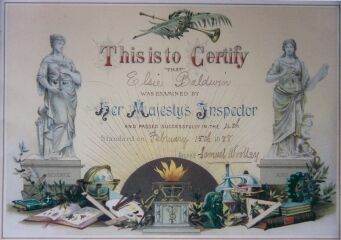 FELHS has a wide range of archives and artefacts closely associated with its area of interest. For many years the Society had no base, but now thanks to Eynsford Parish Council, with support from Farningham and Crockenhill Parish Councils, the Society has its own permanent centre. This is located in Eynsford off Riverside,next to the cricket meadow. The building, formerly public toilets, has been suitably converted to store the Society's collection and to provide a small study area. The centre is not yet open regularly, but details of public access will be put on the Noticeboard of this website in due course. New acquisitions are usually displayed at meetings, as are other items, often linked to the subject of the talk. 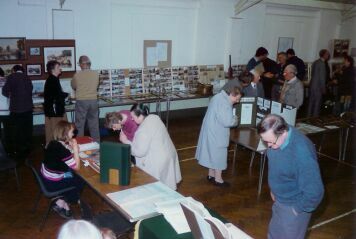 Occasionally, such as in the Millennium, the Society puts on a large exhibition in one of the Village Halls. Many of the documents are not original, but transcripts or copies, which nevertheless provide useful information about the area. The collection is now being catalogued onto the computer, but not onto a database, and is available for use by appointment with the archivist. 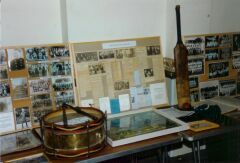 As well as collecting historic items, the Society keeps scrapbooks of present newspaper cuttings, flyers, programmes etc. which will be of interest in years to come. The Society holds copies of the Censuses (1841-1901) for Eynsford, Farningham (with Maplescombe), Crockenhill and Lullingstone and these have been indexed. The monumental inscriptions for the Baptist and Anglican Churches of Crockenhill and Eynsford, and the Church of St Botolph at Lullingstone have also been recorded and indexed. The parish registers, pre-1812, published on fiche by the Kent Family History Society are also available. The photographic collection is being catalogued for the first time and contains about one thousand items. This comprises tape recordings, videos and films related to Eynsford and Farningham.